Letter from Walter Riddell concerning the case of Sir William Carr of Etal, who is growing weaker 'so that I think there is some reason to apprehend a fatal termination'. His sister is staying with him: 'Sir William's sister, having enjoyed very bad health, is a great quack, and therefore, as you may suppose, very troublesome', and keen on the prescription of cordials. 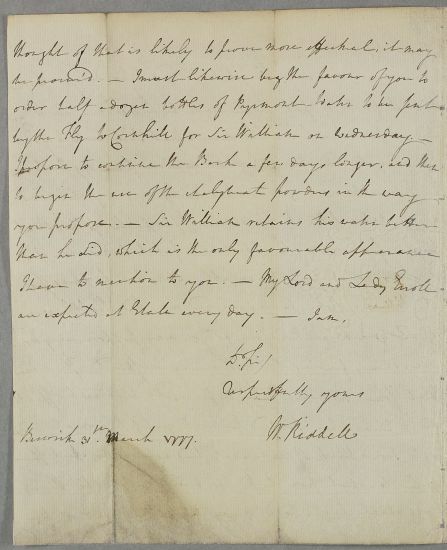 Riddell asks Cullen to have some Pyrmont water sent to Cornhill for Sir William. Lord and Lady Erroll (Sir William's daughter) are expected to visit Etal. Summary Letter from Walter Riddell concerning the case of Sir William Carr of Etal, who is growing weaker 'so that I think there is some reason to apprehend a fatal termination'. 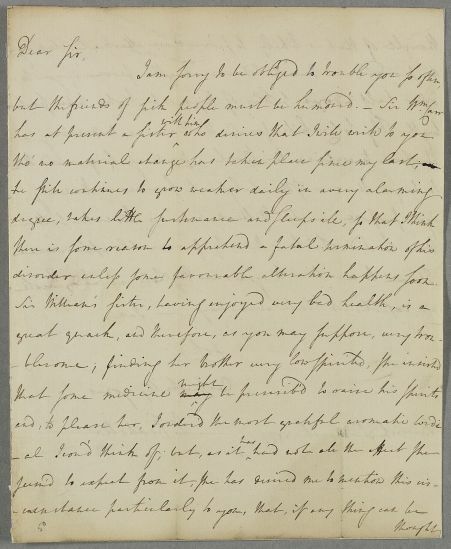 His sister is staying with him: 'Sir William's sister, having enjoyed very bad health, is a great quack, and therefore, as you may suppose, very troublesome', and keen on the prescription of cordials. 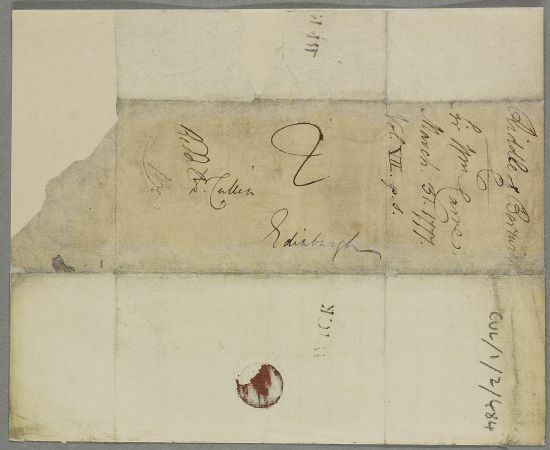 Riddell asks Cullen to have some Pyrmont water sent to Cornhill for Sir William. Lord and Lady Erroll (Sir William's daughter) are expected to visit Etal. disorder unless some favourable alteration happens soon.